Whether you are a recent graduate in the biological sciences or still working on your PhD, pursuing permanent residence in the United States through the National Interest Waiver can further your career. Perhaps you are a molecular biologist engaged in groundbreaking research. Perhaps you seek a position at one of the country’s many biopharmaceutical firms. Perhaps you have an idea for a medical invention that could revolutionize patient care. 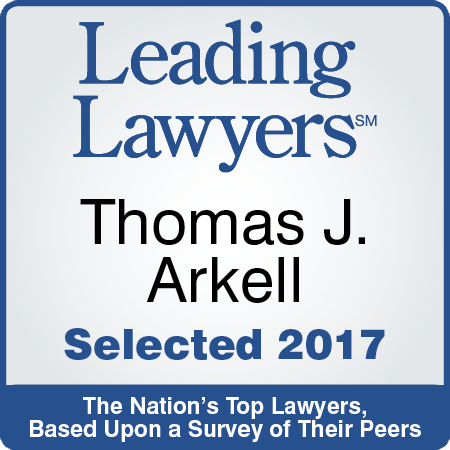 Whatever your career path, Thomas J. Arkell can effectively guide you through the NIW process. If you feel that your work or research may warrant a NIW, feel free to reach out immediately for a free consultation with Mr. Arkell (found at the bottom of this page). Mr. Arkell has successfully gained NIW approval for a vast array of professionals in the field of biological science. The work of a number of these individuals is detailed below. Molecular and integrative physiology related to breast cancer, specifically in the area of estrogen nuclear receptor biology. USCIS approved a petition for a Postdoctoral Reseacher studying in the field of Molecular and cellular biology; specifically, in the area of the regulation of drug metabolizing enzymes; researching the relationship and how the different dynamics influence immunological response. The beneficiary received a Ph.D. in Endocrinology and Metabolism and a Master’s of Pharmaceutical Chemistry and Technology. Endocrinology as it relates to nuclear receptor and breast cancer research. USCIS approved a petition for a Postdoctoral Researcher working in the field of nuclear receptor and breast cancer research addressing important issues regarding molecular biology to learn how the estrogen receptor causes transcriptional gene repression. The NIW petition recognized the researcher’s scientific interest in research for improving the health of individuals across the nation. The beneficiary’s I-140 petition was approved in 21 days. Immunobiology related to Type 2 diabetes and obesity. USCIS approved a National Interest Waiver petition for an associate research scientist working in the field of immunobiology and specifically research on Type2 diabetes and obesity. He identified MCP-I as a soluble factor from adipocye sensing glucose deprivation and identified the mechanism of MCP-I to cause adipose tissue inflammation and following insulin resistance in vivo. The NIW petition recognized petitioner’s research focusing on immunological regulation to control energy metabolism and his research on an important blood cell population to control immune system and how it is involved in mammalian energy metabolism. Petitioner is studying to identify what molecule is involved in the macrophage function to regulate glucose metabolism. Chemical biology related to infectious disease and cancer biology research. USCIS approved an NIW petition for a leading and internationally recognized scholar within the field of chemical biology who has contributed groundbreaking, innovative research in the specialty areas of infectious disease and cancer biology research. The petitioner’s current research has had a significant impact on synthetic and biological chemistry. The NIW petition recognizes that the petitioner has made significant contributions to the fields of chemical biology, especially in the area of drug discovery. Prior to discoveries made by the petitioner, drug screens against IspF yielded modest inhibitors, and some of the inhibitors exhibited different properties in vitro compared to when they were tested in whole cell assays. The petitioner’s finding has aided in the identification of the next generation of drugs against infectious agents as it helps explain such discrepancy. According to experts in his field, the assay developed by the petitioner is the best of its kind, and without the petitioner’s unique blend of expertise in chemistry and biochemistry, these studies would not have been possible. Neuroscience and molecular biology as it pertains to the central nervous system and hibernation. USCIS approved an NIW petition for a Research Fellow working in neuroscience and molecular biology at a public state research university. The petition highlighted the petitioner’s research related to sleep and hippocampal memory consolidation. His research of sleep-dependent consolidation mechanisms under normal and pathological conditions may lead to novel targets for therapeutic intervention in disorders where cognition, memory, and synaptic plasticity are adversely affected. The petitioner’s revolutionary research explores mechanisms used naturally in hibernating animals to suppress metabolism and the potential clinical utility of these mechanisms as prophylactic treatment for cardiac arrest and stroke. Mosquito behavioral research and epidemiology of mosquito-borne diseases. USCIS approved a petition for an ecologist and researcher who works in the field of mosquito biology and ecology. Mosquitoes are important transmitters of disease, and this research contributes to knowledge about mosquito ecology which is essential for mosquito control and subsequent disease prevention. The NIW petition showed that as a pioneer and authority in several critical technologies, this ecologist is an invaluable resource in ensuring the U.S. has the best available expertise in the area of mosquito ecology and subsequent disease prevention for diseases such as west Nile virus, La Crosse encephalitis and eastern equine encephalitis. Molecular Biology in the area of molecular parasitology as it relates to infectious diseases, drug resistance and development. USCIS approved a National Interest Waiver petition for a postdoctoral research associate working in the field of Molecular Biology. Petitioner’s research has been most beneficial to the molecular epidemiology of Leishmanias, an infectious disease that affects approximately 12 million people in 88 countries. In addition to Leishmanias, his research has provided many insights into diseases by other intracellular pathogens like tuberculosis and vector-borne diseases like malaria. The NIW petition recognized that petitioner’s work provides pathways for further understanding on how to create medicinal solutions for some of the most serious health conditions facing people living in these regions as well as United States workers, specifically Military Personnel deployed in South/Central Asia and the Middle East. His research has benefited and will continue to benefit the health of the U.S. population, U.S. policy makers, and decision makers and thereby resulting in positive effects on the greater public and the U.S. economy. Biochemistry and cell biology in the area of biology of viral replication and assembly of the Ebola virus. Petitioner has made significant contributions to the field of biochemistry and cell biology, specifically in the area of biology of viral replication and assembly as it relates to the Ebola virus. The Ebola virus causes fatal hemorrhagic fever with mortality reaching as high as 90%. With no FDA approved vaccine or drug treatment, Ebola remains an important lethal virus that can weaponized by terrorists as biological weapon. The Centers for Disease Control (CDC) lists the Ebola virus as a Category A high priority agent on their Strategic Plan for public health preparedness in the event of a biological terrorist threat. Ebola infects humans as well as other primates such as chimps and other recreational animals. It therefore poses great risk to public health and safety. Petitioner’s research on understanding the molecular basis of Ebola virus assembly will lead to a potential drug target for effective treatment of this hemorrahagic virus a time response in the event of a biological threat. His research work will also significantly impact drug design and development for other viral diseases like HIV. Computational and systems biology in the area of mathematical modeling and analysis of metabolic networks. USCIS approved an NIW petition for a researcher working in the highly complex and sophisticated field of computational and systems biology. The petitioner has contributed groundbreaking, innovative research in the model-driven analysis and engineering of metabolic and biological regulatory networks. One of the first and most significant contributions of the petitioner was the identification of synthetic lethal genes/reactions using genome-scale metabolic models. The petitioner’s developed procedure has been incorporated in a widely used software package for the analysis of metabolic models. The NIW petition recognizes that the petitioner’s development of advanced optimization-based approaches for the study and modeling of biological networks has not only broken new ground in the application of optimization methods to metabolic network analysis, it has also shed light on the unknown properties of these complex systems. Research into the genetics of longevity and aging. The Researcher’s work focuses on molecular biological research in the longevity and aging field. The beneficiary’s expertise will assist scientists in the areas of growth hormone, insulin/IGF1 and caloric restriction action. The research obtained by the beneficiary has important applications in delaying aging, postponing cancers, cataracts, arthritis and other diseases that afflict people in old age. Bioinformatics, quantitative genetics and the related specialties of single cell nanotechnology and genomics of mammalian developmental biology. The petitioner works in the highly complex and sophisticated field of bioinformatics and quantitative genetics and the related specialties of single cell nanotechnology and genomics of mammalian developmental biology. The NIW petition recognizes the petitioner as a leading and internationally recognized scholar within the field of reproductive and developmental biology and has contributed groundbreaking, innovative research in the afore-mentioned specialties. He has measured the expression of thousands of genes in one female gamete. This research is of vital fundamental interest because it seeks to understand the cell biology of a good and fertile female gamete and has practical importance in the clinical field of in vitro fertilization for couples with reproductive physiological barriers. The petitioner’s work is used to select female gametes that are most capable of developing healthy embryos in vitro, and thus revolutionize the treatment of infertility. Molecular biology related to defining the functional roles of p23 molecular chaperone and cellular acetylation activities in the regulation of chromatin structure and transcription. USCIS approved a National Interest Waiver petition for a Postdoctoral Research Associate. The researcher has a Ph.D. in Biochemistry. This researcher is extensively involved in studying chemical and biological functions of the nucleic acids, DNA and RNA. The outcome of this research will facilitate designing drug-based and gene-based therapeutic strategies for treatment of many human pathologies, including Alzheimer’s and cancer. The information obtained from this research provides the critical background for understanding normal and pathological states of cell at the level of transcription, and facilitate development of novel therapeutic strategies to treat various diseases. These contributions have the potential to revolutionize the treatment of infectious diseases as well as a number of different cancers. Defining the functional roles of p23 molecular chaperone and cellular acetylation activities in the regulation of chromatin structure and transcription, as well as to determine the mechanisms by which these effects are executed, is a significant find in this field of study. The beneficiary’s I-140 petition was approved in 48 days. Cellular and molecular biology in the field of bio-medicine conducting as it relates to the investigation of molecular mechanisms of osteoclast differentiation and activation under inflammatory conditions. USCIS approved a National Interest Waiver petition for this researcher who develops specific genetic mouse model systems and novel technologies for the study and discovery of effective gene therapy and imaging techniques for the advancement of human health. As a graduate student, this scientist discovered an important signaling molecule, the JAK3 gene, from a breast cancer cell line. This discovery continues to play a significant role in understanding the Jak-Stat signaling pathway of the immune function and carcinogenesis. This research is focused on generating retroviruses, adenovirus-mediated therapy and mouse model systems for the blocking of osteoclastgenesis in vitro and in vivo. The research being done by this researcher provides pathways for further understanding on how to create new treatment, new therapy and new diagnosis for some of the most serious health conditions. The beneficiary’s I-140 petition was approved in 110 days. Microbiology focusing on microbial ecology, rumen microbiology, and munitions biodegradation. USCIS approved a National Interest Waiver petition for a postdoctoral research associate working in the field of microbiology. Petitioner is a leading and internationally recognized scholar within the field of advanced life science and has contributed groundbreaking, innovative research in the afore-mentioned specialties. The NIW petition recognized that petitioner is one of a handful of experts in the world with expertise in these areas of national and international significance. In his search to understand the genetics of disease resistance in animals, petitioner is using the chicken as a model to test resistance to avian tumors. His original contributions have led to groundbreaking developments and have opened new avenues of research for improving the genetic resistance of the chicken to Marek’s Disease. Microbiology in the area of microbial metabolism. USCIS approved a National Interest Waiver petition for a research scientist working in the field of microbiology. Petitioner’s work is at the forefront of new research and development that will harness advanced knowledge in biology, the physical sciences, engineering, environmental and social sciences to create usable solutions to global energy challenges, therefore reducing the impact of fossil fuels on global warming. The practical applications of petitioner’s research have benefits on a national and international scale. Petitioner’s unique skills and meticulous work will allow the United States to become more energy independent. It will also allow for the development of cleaner energy resources for the overall global goal of clean air and environmental protection. Molecular biology in the areas of plant molecular biology, biotechnology, breeding, genomics and bioinformatics. The petitioner’s field of research generates scientific advances in agricultural, industrial and green energy sectors throughout America and is of paramount importance in advancing methods to improve crop yields and produce biofuels. The petitioner’s research is at the forefront of genome science and technology. Her work is sponsored by multiple governmental funding agencies as well as by funds directly from soybean producer associations and is important to scientific progress in the field of plant molecular biology. The NIW petitioner states that the petitioner and her colleagues are conducting ground breaking research as it relates to the molecular characterization of agronomically important soybean phenotypic traits. Her research focuses on soybean genomics leveraging state-of-the art high throughput next generation sequencing techniques such as mRNA-Seq and Digital Gene Expression (DGE). The NIW petitioner recognizes that the petitioner critically analyzed the first ever DGE experiment to compare the transcriptional profiles at the genome level of a wild type and agronomically important soybean hairless-mutant that carries a dominant P¹ allele. Microbiology specifically in the study of resistance to beta-lactams and aminoglycosides as it applies to antibiotics. USCIS approved an NIW petition for a Research Scientist working in a research lab within the Department of Chemistry and Biochemistry at a renowned research university. The NIW petition focuses on the national merit of the petitioner’s work investigating the behavior of bacteria populations that cause disease in both humans and animals. The petitioner’s research targets vital questions in the field of resistance to antimicrobials, specifically, the resistance to antimicrobials amongst Mycoplasma species. His work is of substantial practical importance in the health industry, allowing the determination of antimicrobial susceptibilities in several mycoplasma species, and thereby revealing why some antimicrobial treatments are unsuccessful. The beneficiary’s I-140 petition was approved in 39 days. Molecular and cellular biology related to the regulation of drug metabolizing enzymes and the P450s. USCIS approved a petition for a Postdoctoral Research Associate researching the regulation of drug metabolizing enzymes and, in particular, the P450s. The P450s are a superfamily of hemoproteins responsible for the metabolism of many drugs and toxins people ingest, as well as the biosynthesis of various compounds in the human body such as steroid hormones. The NIW petition recognized that his research advancements in understanding the molecular basis of human diseases. The beneficiary’s I-140 petition was approved in 25 days. Works in the field of plant biology, and specifically in the area or flowering time control of plants and crops. Research Associate who works in the fields of infectious diseases, vector biology and circadian biology. USCIS approved a petition for a Research Associate whose research focuses on developing a transmission block vaccine to reduce the transmission of leishmaniasis and other vector-borne diseases, and on understanding the molecular basis for circadian clock issues as they pertain to human health. Because there currently is not a vaccine to prevent leishmaniasis, the research is aimed at finding candidates for the development of transmission blocking vaccines that can interfere and block pathogen development between the vectors. Bioenergy development and advanced molecular engineering approaches to facilitate the process of converting plant materials into biofuels. USCIS approved a petition for a genomic biologist working in the field of genomic biology, more specifically, bioenergy development, involving taking advanced molecular engineering approaches to facilitate the process of converting plant materials into biofuels. The NIW petition showed that this research is significant because it advances our basic understanding of the mechanism by which protein function may be modulated at the genetic level. This research is particularly vital to the U.S. national security because it will likely contribute to the development of biosensors for the purpose of detecting pathogens in everyday settings. The biotechnology experts Mr. Arkell has worked with have found many successful careers in the medical field. Working with hospitals, universities, pharmaceutical companies, and more, they are studying everything from molecular virology to cell transplantation and neuroscience. Some have also found work in the agricultural industry, and still others have secured careers in energy. Transplantation and islet cell transplantation, including specialization in the transplant of pancreatic islets for the cure of diabetes. USCIS approved a petition for a Resident Physician working in the field of transplant of pancreatic islets for the cure of diabetes. The beneficiary concluded an important study reporting the largest single center experience in the world of combined liver and intestine transplant in children from living donors. The NIW petition recognized his scientific interest in the isolated and combined transplant of intestine and liver from living donors to pediatric patients. Biotechnology used to determine three-dimensional (3D) structures of proteins that are important in designing drugs against infections caused by the bacterial pathogen Pseudomonas aeruginosa. USCIS approved a petition for a Postdoctoral Research Associate studying in the field of biotechnology in the specific area of crystallographic determination of protein structure. The NIW petition recognized the researcher’s role in her national research effort geared towards developing drugs to minimize secondary infections caused by bacterial pathogens and towards understanding the misfolding and degradation of cell proteins in order to create viable solutions to human diseases such as mad cow disease and Alzheimer’s. Bioinformatics related to understanding the evolutionary origin of infectious diseases such as HIV. This outstanding researcher has had significant impact on understanding the evolutionary origin of infectious diseases such as HIV as endogenous retroviruses are closely related to exogenous retroviruses of which HIV is included. The research explores the relationship between repetitive DNA elements and nucleosome binding and its impact on human gene expression. This scientist is an expert in genetic and epigenetic analysis of next generation sequencing data which has revolutionized the scientific arena and is likely to become the mainstay of scientific analyses in the future. The importance of this research is that it is having a significant impact on understanding the evolutionary origin of infectious diseases. The beneficiary’s I-140 petition was approved in 144 days. Immunology as it relates to asthma and cancer research. This research scientist works in the field of immunology as it relates to asthma and cancer research. The scientist has been involved in the Tumor Microenvironment Network project, the goal of this project is to combine the efforts of leading US cancer research laboratories to enable a better understanding of the pathophysiology of cancer and to expedite the finding of effective cancer therapeutics. Recently, this researcher found that lung tumors often induce remote production of immune cells that travel to tumors and promote tumor growth, so is currently investigating the mechanisms by which the mobilization and recruitment of these cells is controlled. The beneficiary’s I-140 petition was approved in 58 days. Neuroscience, specifically in the analytical field of neurotransmitter function. USCIS approved a National Interest Waiver petition for a postdoctoral research associate working in the field of neuroscience for the contribution of contributed groundbreaking, innovative research in the specialty area of neural dopamine signaling. The work has had a significant impact in the analytical field of neurotransmitter function. The NIW petition recognized petitioner’s novel treatment of addiction. His unique expertise in a methodological approach that will revolutionize the way scientists study the brain reward system that is ultimately affected by drug abuse. His work on brain reward processes is very important in terms of the insight it will reveal with regard to new therapeutics in the fight against drug abuse. USCIS approved a National Interest Waiver petition for a postdoctoral research fellow working in the field of oncology. Petitioner works in the field of oncology, specifically in the area of skin and hematological cancers (blood, bone marrow and lymph node cancers). He is currently focusing his research on important and fundamental questions as they relate to inhibitors and therapeutic targets against these terminal diseases. He played a pivotal role in altering the rules of nuclear mechanisms like transcription by introducing the challenging method of extracting and purifying a nuclear enzyme necessary for in vitro assays. He is one of few researchers in the world with specialized expertise in the assessment methodology of the metastatic potential of a tumor in many forms of cancer. Petitioner’s research has significantly contributed in the demonstration of the anti-proliferative effects of Schlafen 5 in malignant melanoma cells. He has proven that this human protein coding gene has antimelanoma effects and inhibits cell invasion during metastasis. This work will have profound effects on the treatment of skin cancer patients. In addition, petitioner has shown that leukemia can also be regulated and inhibited by this novel family of proteins. His findings reveal the same mechanism is able to prevent the proliferation of leukemic cells by causing cell death, offering the potential of permanent remission. The implications of petitioner’s research are enormous since these types of malignancies are aggressive in nature and in most cases resistant to chemotherapy. His research could significantly contribute to a reduction in number of deaths due to cancer. Parasitology related to malaria and the parasite Plasmodium falciparum. USCIS approved a National Interest Waiver petition for a research scientist working in the field of parasitology. For well over a decade, the petitioner has been engaged in research in the area of parasitology, and more specifically, in the area of malaria and the parasite Plasmodium falciparum. Petitioner is working with partners across the world to find a cure for malaria in a global collaboration among leading institutions in North America, Europe and Asia. Malaria infects about 400 million people worldwide every year, and kills between 1 million and 3 million. Two parasites, Plasmodium falciparum and Plasmodium vivax, widely cause the disease, but petitioner has focused on Plasmodium falciparum because it is both deadlier and amenable to culture in the laboratory. The NIW petition articulated that petitioner works in a highly specialized area and that she is one of only a few people in the world that possesses the necessary practical and theoretical knowledge to effectively complete the necessary research in this specialization of parasitology. Radiology and interventional radiology related to the study of life-threatening cancers, novel techniques of prevention, and early diagnosis and treatment. 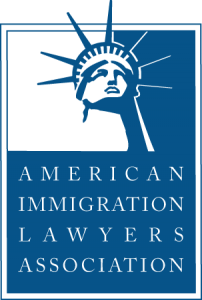 The USCIS approved a NIW petition for a research assistant professor working in the field of radiology and interventional radiology. Petitioner works on the study of life-threatening cancers, novel techniques of prevention, and early diagnosis and treatment. Petitioner is nationally and internationally recognized for his cutting-edge research on borderline ovarian tumors through his incorporation of recent advances in histopathology, molecular biology and cytogenetics, which are producing promising results. This unique group of tumors has the potential of turning into ovarian cancer, but can be less threatening than more deadly forms of ovarian cancer. Other researchers and scientists have had difficulty distinguishing these subtypes of borderline ovarian tumors from invasive cancers. Petitioner’s work has advanced the scientific communities understanding of these borderline tumors. He created a simplified algorithmic approach for management and diagnosis of these tumors which is expected to lead the way toward the facilitation of accurate diagnosis and differentiation from advanced ovarian malignancy benefitting women all over the world, specifically those who desire to preserve fertility. Medicine, specifically in the areas of immuniology, gene therapy, signal transduction, and intravital imaging. The petitioner has been engaged in research in the area of immunology, gene therapy, signal transduction, and intravital imaging. Much of the petitioner’s research focuses on the new, emerging field of intravital immuno-imaging. Through Multiphoton Intravital Microscopy, the petitioner studies by direct observation the dynamics of immune cells during the establishment of an immune response. On top of that, by using fusions between signaling molecules and fluorescent proteins, he belongs to the very limited group of researchers able to analyze the functional consequences of interactions between immune cells, in terms of triggering of signaling pathways, in vitro and in vivo. The petition illustrates that the petitioner’s studies provide much-needed information on the molecular mechanisms involved in the pathogenesis of several diseases. As a result of his research, therapies may be developed to specifically repair the underlying genetic alterations of the Wiskott – Aldrich syndrome. His findings regarding HIV spread and long-lasting T cell memory will help to develop new prophylactic, as well as therapeutic, approaches to efficiently combat life threatening infectious diseases. Cellular immunology and ophthalmology as it relates to ophthalmic surgical outcomes. The USCIS approved an NIW petition for a Research Fellow working for the US Department of Veterans Affairs. The petition highlighted the petitioner’s work pertaining to scleral inflammatory disease, treatment for birdshot retinochoroidopathy, and peripheral ulcerative keratitis. The petitioner developed the largest database of patients with scleral inflammation and analysis of the collected data, which has provided a guideline for the early diagnosis and treatment of this potentially-blinding ocular disease. The petitioner designed crossover trials to assess the utility of virtual simulators in improving the dexterity of dominant and non-dominant hands in cataract and retina surgery. He also designed a large study to validate the construct of a new indirect ophthalmoscope simulator and to assess if this technology is to be implemented in the training of new eye care professionals in the United States. Molecular virology, veterinary infectious diseases, and swine immunology. USCIS approved a NIW petition for a postdoctoral research associate working in the field of molecular virology, veterinary infectious diseases, and swine immunology. Petitioner’s current research focuses on the inhibitory effects of Porcine Reproductive and Respiratory Syndrome Virus (PRRSV) on interferon induction in cell culture and in pigs. PRRSV is a devastating disease that currently costs the U.S. pork industry more than six-hundred million dollars ($600,000,000) annually with a cumulative cost of more than a billion per year when production related costs such as veterinary care and biosecurity measures are also considered. Thus, the focus area of petitioner’s research is of national and international interest to the entire pork industry. Biomedical research, specifically in the areas of clinical diagnostics, biosensors, and point-of-care testing. USCIS approved an NIW petition for a Postdoctoral Research Associate working in a bioscience lab for a public state research university. The NIW petition focused on the petitioner’s areas of research, including his development of integrated microfluidic systems for rapid forensic DNA analysis and of numerous medical microdevices to be used in point-of-care testing, including a novel new sample-to-answer immunoassay plastic lab-on-a-chip for point-of-care testing. He was also involved with the development of reusable micro-sensors for continuous and on-site heavy metal measurement for environmental health monitoring. Cancer research focusing on human genetics. USCIS approved a NIW petition for a clinical cytogenetics fellow in the field of cancer research focusing on human genetics. Petitioner is an internationally known researcher in his specialty area of human genetics. His work is recognized as being of substantial intrinsic merit on a national scope. The primary focus of petitioner’s research is to understand the epigenetic changes associated with radiation-induced genomic instability, which is thought to be an early event in radiation carcinogenesis. Petitioner is involved in testing for all the disorders from the point the patient samples are received in the lab to the time the results are reported out to the ordering physician. Petitioner’s research efforts go beyond the laboratory testing of patients. He is also responsible for quality control, assurance and improvement of the laboratory. Petitioner develops new laboratory tests based on the improvements in the understanding of diseases and the treatment options available. Genetics, specifically gene regulation and development. USCIS approved an NIW petition for a Research Professional working in the field of evolutionary genetics at a world-class private research university. The NIW petition focused on the petitioner’s contributions in the areas of gene regulation and development. He has developed a number of algorithms for the design of synthetic regulatory DNA sequences which can be made to express in arbitrary patterns and could provide a useful tool for gene therapy applications that require a targeted gene expression. His research focuses on use of the neutral path algorithm to reconstruct the common ancestral sequence of a cis‐regulatory module in two related species, differing in sequence in the extant species. His work has practical importance in the healthcare industry. Immunology, specifically in the areas of genetics, molecular biology, and autoimmunity. The USCIS approved an NIW petition for a Staff Scientist working in the field of immunology at a National Institutes of Health (NIH) lab. The petitioner’s work focuses on researching the possibility of the tyrosine kinase Itk as a novel therapeutic target for treating and preventing further exacerbation of autoimmune disorders. He made the discovery that Itk deficiency prevents the development of pro-inflammatory T cells, and instead, leads to the induction of regulatory T cells, an important subset of T cells that prevent potentially over-destructive features of inflammation during autoimmunity. His work has concentrated on the generation of better models of related disorders of the immune system. Soybean research to enhance the health promoting value of soy foods and develop soybean pathogen resistance. USCIS approved a petition for a genetics researcher working in the field of genetic engineering in agriculture in order to enhance the health promoting values of soy foods, understand the regulation mechanisms of phenylpropanoids in soybeans and develop soybean pathogen resistance. The NIW petition showed that the researcher is undertaking cutting edge research aimed at developing biotechnology techniques to improve crop resistance to diseases and to improve the quality of crops for human and animal consumption. The work the engineer is doing is specifically in the areas of plant metabolism, soybean resistance to pathogens, design of new soybean varieties and determination of environmental effects on health promoting compounds. Swine growth modeling and nutrition that predicts the effects of disease based on the amount of food consumed by swine. USCIS approved a petition for an Assistant Professor working in a new area involving computer modeling of the development and consequences of diseases in swine. The NIW petition recognized his role in addressing the complex issue of combining fundamental growth, nutrition, disease and genetic principles in a theoretical framework that can then be reproduced in computer programs by careful mathematical and computer programming techniques. USCIS approved an NIW petition for a Postdoctoral Research Associate working at a public state research university in the fields of toxicology and parasitology. The NIW petition focused on the petitioner’s work and how it has helped with the discovery and understanding of new pharmaceuticals that can improve the controlling of parasitic diseases in farm animals and humans. The petitioner is also one of few scientists who can use electrophysiology, especially the highly sophisticated patch clamp technique, to study the mode of action of antiparasitic drugs and the molecular mechanisms of drug resistance in parasitic nematodes, commonly known as round worm. Works in the fields of plant genetics and plant biotechnology. UCIS approved a petition for a Research Technologist plays an integral role in the success of projects dedicated to the improvement of soybean quality. She has developed superior tools to overcome the difficulties of low transformation frequency of the soybean and the low rate of stable gene deletion, or the more technical term, gametophyte mutation. Has been engaged in research in the area of agricultural and crop sciences research. USCIS approved a petition for Postdoctoral Research Associate whose research is focused in the areas of plant genes. The results of his research have produced critical developments vital for understanding the regulation of gene expression during seed development and for the soybean and other oilseed crop industries. Research targets the most vital questions in the field of glaucoma research. USCIS approved a petition for a Postdoctoral Research Scholar who has played a crucial role in demonstrating two novel groundbreaking ideas on the amniotic membrane transplantation for Ahmed Glaucoma Valve Implants and applying aqueous suppressants one week after Ahmed Glaucoma Valve Implantation. Glaucoma and ocular Surface Disease is a critical area of research, especially given the world’s aging population. Works in the fields of coagulation and cardiovascular epidemiology, thrombosis and hemostasis. USCIS approved a petition for a Research Fellow who has significantly contributed to the complex methodology of coagulation research. Her contributions to the field of cardiovascular epidemiology are in elucidating thrombosis mechanisms from several perspectives. Her research will provide a deeper understanding of the underlying disease mechanisms and will result in helping to prevent the disease and sudden death association with it. Senior Scientist who has been engaged in research in the area of biomedical engineering and signal processing. USCIS approved a petition for a Senior Scientist who has played a crucial role in inter-related research projects focusing on the microwave imaging techniques to detect tumors. She has successfully developed several novel approaches in microwave imaging that are now being used for breast cancer diagnosis. Postdoctoral Fellow who has been engaged in research in the area of computational neuroscience and biology. Postdoctoral Research Associate who played a crucial role in the design and synthesis of organic probes for bio-molecule detection. USCIS approved a petition for a Postdoctoral Research Associate whose research focuses on the advancement and development of skills in the area of polyaromatic hydrocarbon research and the synthesis of molecular receptors. This work is vital because his research on molecular receptors will improve the efficiency of organic photovoltaic devices containing fullerene derivatives as acceptors. Scientist whose research focuses on the molecular biology, organic chemistry and evolution. USCIS approved a petition for a scientist who successfully designed a novel chemical synthesis for a non-natural analog of DNA called amino -threose nucleic acids. His work can help inform the field of antisense therapeutics, which seeks to treat diseases by aiming for the cell’s RNA with non-natural nucleic acids. Research focuses on genomics and systems biology. USCIS approved a petition for a Postdoctoral Fellow whose goals are to achieve a comprehensive understanding of the information encoded in the genetic material of organisms and how it directs the organization and function of living systems enabled by analysis through integrative experimental and computational modeling approaches. His groundbreaking work has an enormous impact on the way we study and treat diseases that affect millions of Americans and for which treatments are not yet available. Focused on how breast cancer progresses and how better therapy can be developed to address this problem. USCIS approved a petition for a Researcher whose contributions have led to a change in the paradigm of cancer drug development and this achievement will allow for better treatments to battle cancer. His research directly benefits the U.S medical research community as he develops new methods for medical technology and therapeutics. Research Scientist who has been engaged in research in the area of bioenergetics, membrane proteins, and drug discovery. USCIS approved a petition for a Research Scientist who has played a crucial role in inter-related research projects focus on solving scientific challenges. She has made significant contributions to the field of membrane protein structure and function research and specifically in the area of bioenergetics. Neuroscience in the areas of neurotrama, neuropharmacology, and the treatment of Traumatic Brain Injury (TBI). The USCIS approved a NIW petition for a postdoctoral neuropharmacologist working in the field of neuroscience. Petitioner works in the field of neuroscience, specifically in the area of neurotrama, neuropharmacology and the treatment of Traumatic Brain Injury (TBI). TBI is a “serious public health problem” according to the Centers for Disease Control (CDC). It affects 1.7 million Americans annually and “is caused by a bump, blow or jolt to the head or a penetrating head injury that disrupts normal brain function.” Petitioner’s research is directly benefiting civilians and soldiers dealing with the effects of TBI. Protection of surviving cells in the brain after a head trauma is crucial to both recovery and future brain function. In addition, petitioner’s current study of the metabolic role of the phospho-creatine system in mouse models of creatine deficiency causing, L-arginine:glycine amidinotransferase (AGAT) knockout is vital to scientists looking for new insights creatine deficiency syndromes like mental retardation, expressive speech and language delay, autistic like behavior, hyperactivity, epilepsy and movement disorders. Petitioner’s critical research work in these areas of TBI is contributing significantly to the understanding of neuronal damage in central nervous system injury and accelerating the discovery and implementation of therapeutic treatments for TBI and other brain related disorders. For over a decade, the petitioner has been engaged in research in the area of pharmacognosy and natural products research. Her research focuses on the study of chemical compounds produced by lower organisms, such as plants, microorganisms, and marine invertebrates, which are invaluable both nationally and globally for the development of significant new drugs. These drugs are used to treat a wide variety of diseases, including malaria, Parkinson’s disease, Alzheimers, and HIV. Her notable research accomplishments have included the discovery and isolation of natural product compounds with implications for treating global diseases such as malaria, AIDS, and leishmaniasis, and the isolation of compounds that have promise in the area of biodegradable, environmentally-friendly herbicides. The beneficiary’s I-140 petition was approved in 31 days. Neurologist researching the functional and pharmacological significance of the protein Alpha-Synuclein in a transgenic animal model of Parkinson’s disease. The petitioner’s studies have laid the groundwork for a new avenue of therapeutics in the treatment of drug abuse and neurodegenerative disorders. Neurodegenerative disorders are the umbrella term for the progressive loss of structure or function of neurons, including death of neurons. Many neurodegenerative diseases including Schizophrenia, Parkinson’s, Alzheimer’s, and Huntington’s occur as a result of neurodegenerative processes. The results have given a mechanistic explanation to the already reported antiparkinsonian activity of A2A receptor antagonist KW-6002 and suggest that the other selective A2A receptor antagonist SCH-442416 could be useful in dyskinetic disorders, obsessive-compulsive disorders and in drug addiction. The beneficiary’s I-140 petition was approved in 89 days. Research has led to improvements in production procedures of antibody fragments and allosteric modulation of protein-protein interaction. USCIS approved a petition for a Postdoctoral Research Associate who has developed a method using a model of monoclonal antibody MLS128 that has shown to significantly inhibit the growth of cancerous cells in breast tissue. He has significantly contributed to innovative and groundbreaking research in the areas of molecular cloning, designing constructs and folding tags for recombinant expression systems in bacterial and mammalian host systems, and structural studies of glycoproteins. Has made major contributions in the area of biomaterials and computational biology. USCIS approved a petition for a Mechanical Engineer whose research has focused on experimental and theoretical biophysics of blood clotting, bleeding, and thrombosis. His research has vast and far reaching impact on various aspects of biomedical science and bioengineering. Many of the experts Mr. Arkell has helped through the NIW process have achieved tremendous success in the field of biochemistry. A number of their stories and successes are detailed below. Chemistry and biochemistry research studying the mechanisms of resistance to antibiotics and the means to circumvent them, which aids cancer and stroke treatment. USCIS approved a petition for an Assistant Professional Specialist whose work crosses over into biomedical research and the fields of synthetic organic chemistry, biochemistry, structural biology, molecular biology, chemical glycobiology, structural biology and computational chemistry. This Professor’s contributions to understanding the molecular processes that contribute to or block the progression of diseases, such as cancer and stroke, could lead to significant breakthroughs in prevention and treatment. The development of a strategy to overcome antibiotic resistance, particularly Methicillin-resistant Staphylococcus aureus (“MRSA”) that kills approximately 20,000 people a year in the United States alone, is a crowning development for this researcher. The beneficiary’s I-140 petition was approved in 56 days. Computational biochemistry and computer aided drug design. This NIW petitioner works in the field of computational biochemistry and computer aided drug design. His research is focused on the study of molecular mechanisms of protein aggregation; this aggregation is the fundamental cause of central nervous system disorders such as Alzheimer’s, Parkinson’s, Huntington’s and prion diseases. He played a critical role in developing a cost-effective, rapid, and precise procedure for analysis of HIV drug combination. HIV/AIDS is an incurable disease affecting individuals across the globe. A common problem in Africa is the drug counterfeiting; therefore, the development of analytical methods for their quality control is crucial. Bioanalytical chemistry, cancer research and personalized disease risk prediction. The USCIS approved an NIW petition for a Research Fellow working in neurosurgery at an Ivy League teaching hospital. The NIW petition focused on the petitioner’s advancements and developments in the area of glycan profiling of human serum based on mass spectrometry. The petitioner developed an automated HPLC platform for affinity purification of a target plasma glycoprotein, clusterin and subsequent study of the glycosylation of the protein in kidney cancer patients, which resulted in the discovery of putative glyco-biomarkers for renal cell cancer. She is currently leading projects involving metabolomics and proteomic profiles with risk of future disease, including breast cancer and type II diabetes. Analytical biochemistry, specifically in the area of metabolomics. USCIS approved an NIW petition for a Postdoctoral Researcher working at one of the premier organizations devoted to systems biology research. The petition highlighted her inter-disciplinary research projects focusing on human diseases and disorders, nutritional studies, immunological and vaccine related investigations, microbiological, plant and environmental sciences. Throughout her research, the petitioner has developed novel analytical methods using metabolomics procedures, including the development of a plant-based vaccine. Her expertise on applying the immunology related experimental and analytical technologies is also being used to advance research on vaccine development for human respiratory syncytial virus (RSV). Cholesterol removal and protein-membrane interactions. USCIS approved a National Interest Waiver petition for a biochemistry and biophysics researcher. The researcher, who specializes in fluorescence dynamics and cholesterol research, has a Ph.D. in Chemistry. The beneficiary’s research in the area of HDL, or “good cholesterol,” and its effect on cardiovascular disease, which is the number one killer of women and men in the United States, has been, and undoubtedly will continue to be, instrumental in improving the healthcare of our nation. Each year more than one million Americans have heart attacks, and about a half million people die from heart disease. Evidence submitted showed that the beneficiary’s research accomplishments are critical in providing new technologies in medicine and biology to prevent health-related disease, illness and death. The beneficiary’s I-140 petition was approved in 119 days. Plant biochemistry research and plant metabolic networking involving biochemical profiling of plant tissues. USCIS approved a petition for a biochemist whose research targets fundamental questions in the area of metabolite fingerprinting and profiling in order to understand plant growth and development. The NIW petition emphasized the important applications of this research in understanding plant metabolism, determining environmental effects on health promoting compounds (for example, isoflavones that prevent cancer), increasing plant resistance to various pathogens, and increasing crop yields in U.S. crops. Postdoctoral Researcher – Biochemistry as it relates to the dynamics of major histocompability complex (MHC) molecules in the immunological and peptide vaccine design field. USCIS approved a petition for a Postdoctoral Researcher performing research in the area of biophysical research involving the study of the dynamics of major histocompability complex (MHC) molecules in the immunological and peptide vaccine design field. The NIW petition recognized that his studies have lead to the development of peptide vaccines, which are used to sensitize naïve T-cells for clinical use in fighting against diseases such as cancer. Postdoctoral Research Associate – Biochemistry, specifically in the area of protein structure-function. The USCIS approved an NIW petition for a Postdoctoral Research Associate working in the area of biochemistry at a medical school. The petitioner’s research focuses on the advancement and development of skilled biophysical techniques such as Circular Dichroism, Stopped-Flow Analysis, Fluorescence Resonance Energy Transfer and Nuclear Magnetic Resonance. Her research also addresses the basic physiology of steroidogenic proteins and mitochondrial translocases. Her research provides insight into the major questions of ambiguous genitalia or adrenarche as well as the basic physiology of the mitochondrial steroidogenic pathway. Additionally, utilizing a technique called High Speed Countercurrent Chromatography, she was able to successfully isolate some biologically important antioxidants called catechins from green tea leaves with high purity. Assistant Professor who has been engaged in research in the area of biochemistry. USCIS approved a petition for an Assistant Professor whose research focuses on flavin chemistry and how catalysis greatly affect and cross over into applications in the area of skin cancer research. The research is vital to applications in the area of skin cancer and renewable energy research. Biochemistry, specifically in the research and discovery of antifungal drugs. USCIS approved a National Interest Waiver petition for a research scientist that works in the field of Biochemistry and specifically research and discovery of antifungal drugs. Their work has involved cloning genes to express important proteins and test their biochemical activities. The scientist developed a plethora of biological reagents and assays that have been critical to research efforts. The research also plays a very important role in understanding tRNA synthetase enzymes as a drug target, which has been the focus of many pharmaceutical industries, which work on antibiotic development. The NIW petition recognized this petitioner’s contribution to the advancement of AN2690 as a potential new antifungal therapy. The discovery of AN2690 was published in Science. Identification of the specific mechanism of action for this drug candidate was a direct outcome of petitioner’s work and is a significant step in the advancement of this potential therapy. AN2690 is in Phase 3 clinical development and has been licensed by major pharmaceutical companies.